The timber bench is an ideal sports hall bleacher seating solution, where a temporary, space saving type of seating is needed. 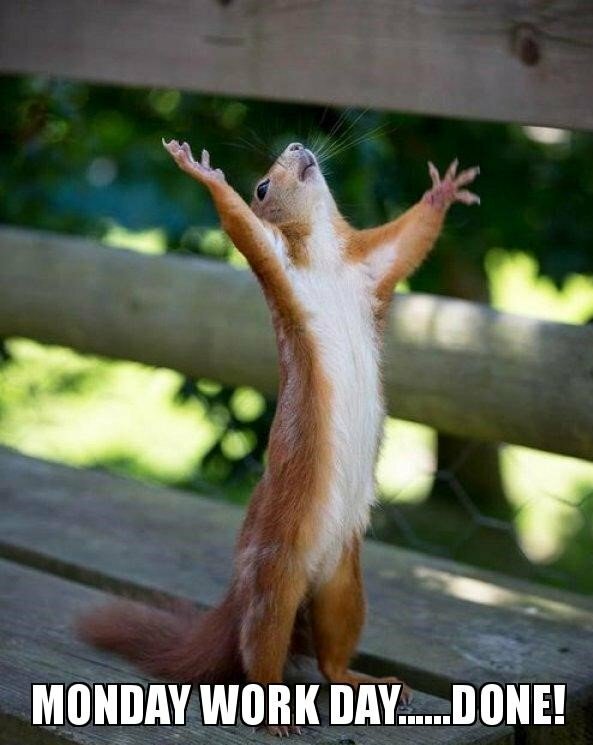 The beauty of a long bench is that there is no space wasted by gaps in between seats, arm rests or anything attributed to traditional bleacher seating. Timber benches are perfect for schools and colleges where large number of people need to be accommodated but the rooms and needed for a variety of uses. 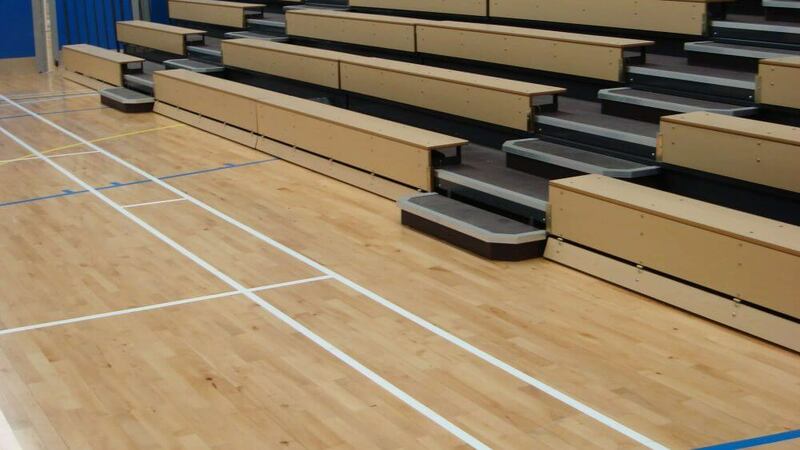 Here are some of the key benefits of timber bench sports hall seating. Why Have Sports Hall Seating? The main benefit of a timber bench is the space saving capacity they posses. With no arms or gaps between seats, more people can fit onto the benches thus increasing the capacity of the venue. Made using high pressure bonding technology, the timber bench is one of the most durable and hard wearing seating solutions out there, making it ideal for use in schools where there is a large number of users and high potential for scuff and knocks. These timber benches give a real American high school feel, adding a real sense of sporting professionalism to your sports hall or gymnasium. Made with beautifully finished MDF, timber seating is smart and compact. Retractable, with the additional option of a backrest, the timber bench is extremely flexible in the way it can be employed and is much more practical than a traditional fixed seating arrangement. So to give your sports hall a smart and professional look, whilst not forgetting practicality and space saving, the timber bench could be the ideal seating choice for you. 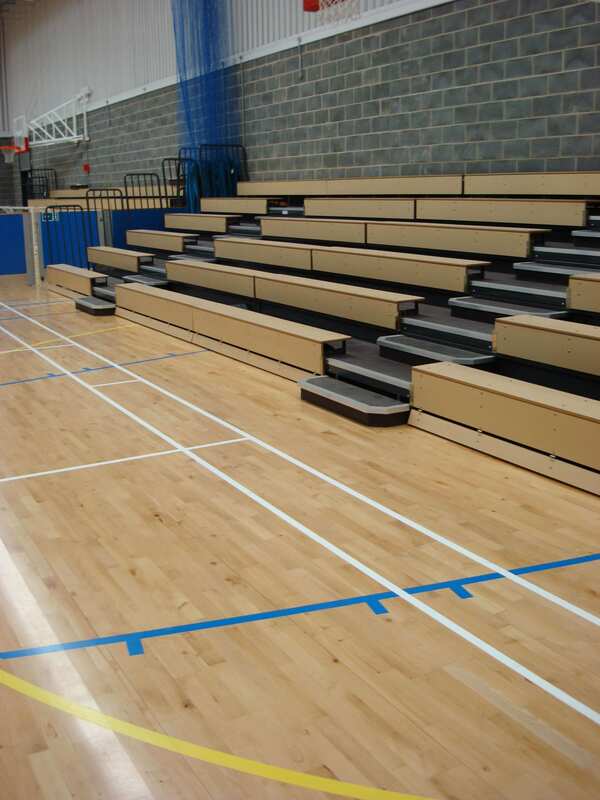 If you have any questions about timber benches for Sports Hall Seating or any other types of auditorium, get in touch with a member of the Auditoria Services team who will be able to offer their advice on the most suitable product for your space.